The round pendant adorned with precious crystal stones in the shape of the star sign. 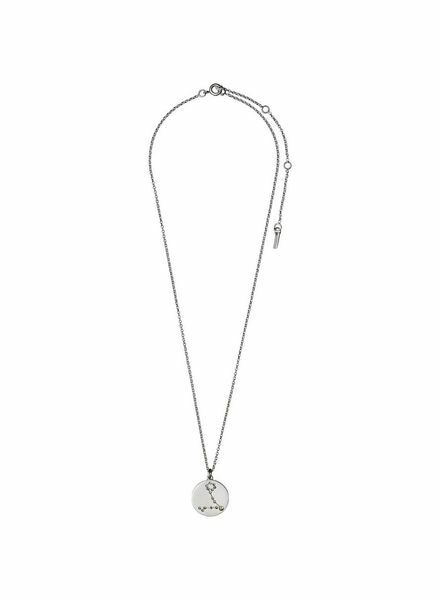 The necklace has a soft, matte finish and is the perfect gift for yourself or one you cherish. Each zodiac sign comes in silver or gold-plated.